For hot pepper lovers, Maple Leaf has added Habanero to our Award Winning Jack family! For those who like it ’HOT’, Maple Leaf offers the Habanero Montery Jack Cheese, the hottest in our Monterey Jack Pepper family available for sale. 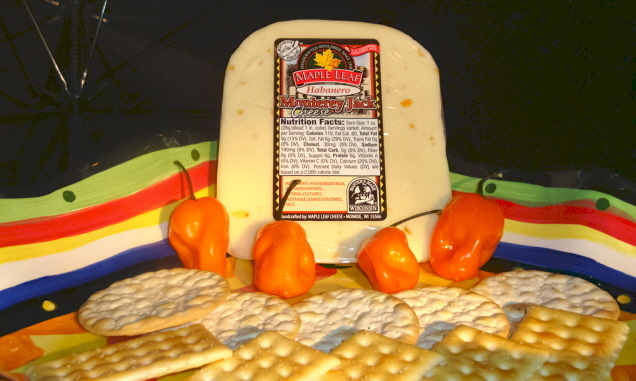 Use our Habanero with whatever you like, Please warn your guests before they sample this cheese! This cheese is sold in 8 ounce wedges.